Through technology, we offer a health communication system that both patients and doctors truly need. both patients and doctors actively engage in care. MindScope is not only about symptom tracking - it is about enhancing communication between patients and doctors. We summarize the data for doctors. Regardless of whether you struggle with back pain, thyroid disease, a mental illness, or anything in between, symptom management is important. But what if your symptoms are "invisible" to your provider, like changes in your pain levels, energy, or mood? In this case, doctors rely on your ability to communicate how you are feeling and the severity and frequency of your symptoms. For many reasons this can be challenging. Maybe your illness makes it difficult for you to express yourself to your doctor. Maybe you cannot afford to attend frequent appointments to keep your doctor up-to-date. Maybe you are uncomfortable describing a particular symptom. Perhaps you get so nervous in doctor's appointments that you never mention what really needs to be talked about. At MindScope Health, we understand that failing to describe a symptom change can result in a lower quality of life, frustration, and other negative health consequences. We have also experienced these problems. That is why we are here to help. 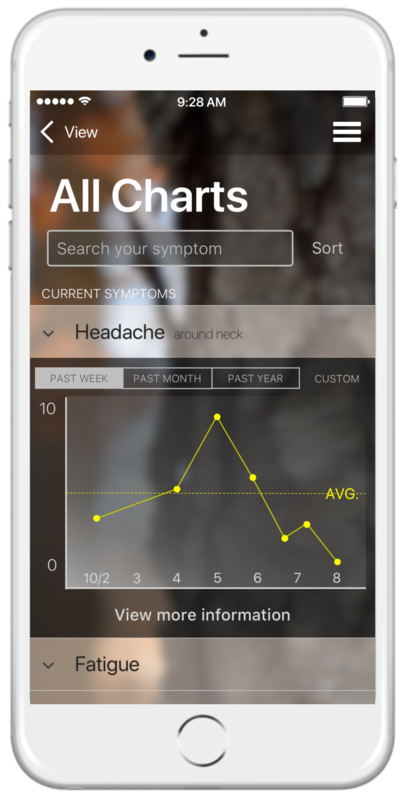 Our mobile app allows patients to customize and record their daily symptoms as frequently as they wish. 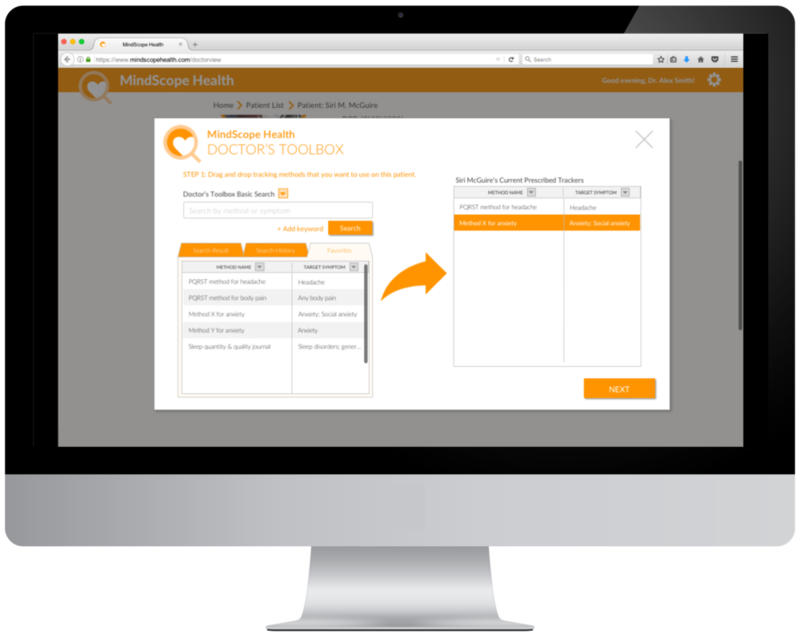 Unlike other health-tracking apps, MindScope is incorporated directly into a doctor's practice. The symptoms a patient records are compiled into meaningful and streamlined reports for doctors to monitor patient health and observe symptom trends. This establishes a continuous flow of information between the doctor and patient, minimizing the amount of information lost between appointments. Better patient health records means better diagnoses, treatment outcomes, and quality of life. These are outcomes that both doctors and patients can get behind. With MindScope Health, clinicians can do more than just monitor patients. Through our Doctor's Toolbox database, clinicians can "prescribe" professional symptom trackers to patients. Patients then fill-out symptom tracker surveys according to their doctor's recommendations through the MindScope Health app. This provides clinicians the ability to monitor specific patient symptoms beyond the patient's independent symptom recording.